When your big and cold blooded, maintaining the right temperature can be a challenge, especially when you live on a continent that sees a wide range of temperatures. But for one primordial reptile in whom the will to survive runs deep, adaptation takes on a whole new meaning in Life, Death, and Taxonomy. Nile crocodiles are among the deepest diggers in the animal kingdom. A wide variety of animals dig holes, by very few bother to go extremely deep. The farther you get underground, the harder it is for oxygen to reach that far, like we learned with the naked mole rat. Animals that live underground typically stay close to surface level so they can hunt, forage, and breath fresh air. Some animals go deep for reasons that go beyond neat subterranean housing. 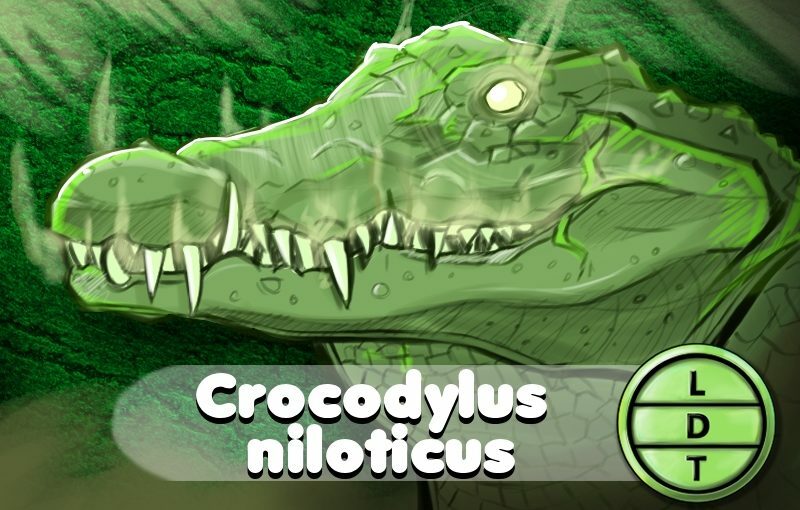 Crocodiles dig holes to lay their eggs, unlike other crocodiles and alligators which make nests in nasty vegetation. Nesting holes are usually a few meters from the bank of a body of water. About 20 inches deep. She’ll lay between 20 and 80 eggs. But 20 inches in the ground isn’t much to have a major fact about. Crocodiles dig holes for another reason. As large cold blooded animals, heat regulation is incredibly important to them. They spend a good portion of their time basking in the sun, not moving at all. In fact, they can sit on the bank, awake from nine to five like remaining completely still is their job. If it’s cold or overcast, they will keep their mouths closed it keep in heat. If it’s hot, especially around noon, they will open their mouths to ventilate heat and cool down. Despite this sedentary lifestyle, they remain awake and alert to their surrounding. But what about when it gets really cold or really hot? If a cold snap rolls in, it can mean the end of a croc unless they dig deep to survive, literally. Crocodiles will dig very deep holes and engage in yet another form of hibernation called Aestivation. Aestivation is a state of inactivity and low metabolic activity. In other words, the croc goes into hypersleep. Their hearts beat twice per minute. Young, small crocs will spend the hot summer months in holes a little more than 5 feet deep, some can get as low as 12 feet. They will spend the summer in aestivation, not leaving until conditions improve. On the high end, holes can be as deep as 39 feet or 12 meters, according to a LiveScience article. Larger crocs will go into aestivation btu come up once a day to bask in the sun before going back down. This survival method can also be used to make it through droughts. Joe: You’ve heard of the death roll, but have you heard of the death scroll? No, it’s not an ancient Egyptian manuscript that foretells a time of destruction and pestilence. 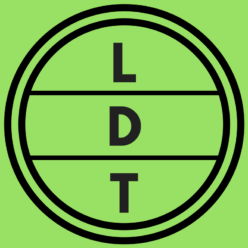 It’s when you listen to an episode of LDT and keep scrolling without hitting the subscribe button! Get new interesting animal info in your inbox every week. Isn’t that right, Carlos? Carlos: [In a voice, affected in post.] There is no Carlos, only Anubis! HOW DARE YOU LISTEN AND NOT SUBSCRIBE! CLICK THAT BUTTON AND LEAVE A REVIEW OR I WILL HEAP THE COALS OF SHAME UPON YOU FOR ALL ETERNITY! Joe: Hey, that was cool how did you do that? Carlos: Actually, you did it in editing?